Jerk Chicken (Serves 4) Rub 2/3 of the jar of Jerk Paste over 1kg chicken thighs/breasts & place on a baking tray. Cook in a pre-heated oven (220°C) for 30 minutes or until cooked through. 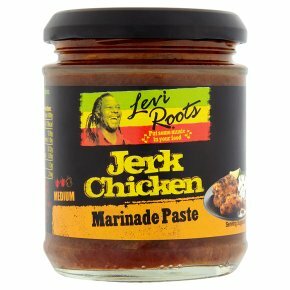 Serve with plain rice or rice & peas, with a splash of Reggae Reggae Sauce to add extra spice to your dish!